Tutorial: How to Create Levels for Grappling Hook? It explains everything you need to know, to create levels that use all features of Grappling Hook. You can even add your level with a screenshot and challenges to the game-menu like the original ones! Please ask questions and give feedback in the forum. The first draft of the tutorial for the level editor is available. Some advanced sections are still missing. Please don’t hesitate to ask questions about the level-editor. I will answer them as soon as possible and update the tutorial. Grappling Hook Version 1.06 is available, both demo and full-version. Eight new levels! These levels are especially for players, who already played through the other 22 and are looking for new challenges. Some of the new levels are non-linear, so you will be free to decide, what to do next. The new levels also feature puzzles, where you have to use the Grappling Hook in entirely new ways. Of course, there are also challenges for every new level. 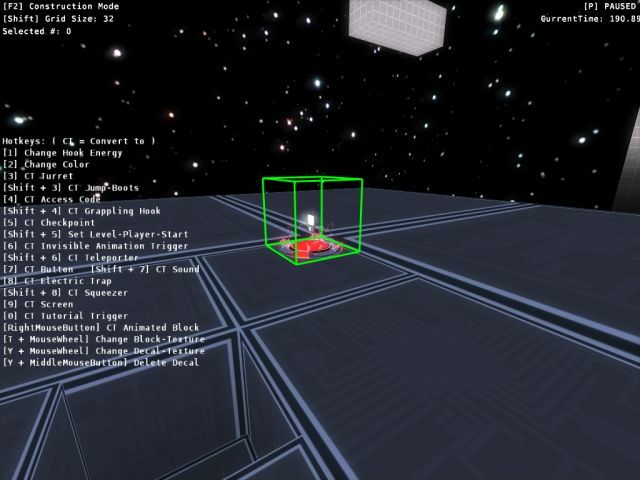 The level editor is now fully functional and included in the full version of the game. It is now possible for everyone to include levels in the game, so they are selectable in the menu. A tutorial how to create new levels and how to add them to the game will be released within this week. The developer-mode can be enable in the game options. There will be also a hint in the HUD, when it is enabled. The values of the challenges for every level are now visible in the level selection screen. The background-size of all on-screen-messages fits now to the amount of text. You can switch now between hardware or software sound, when you experience any problems with one of them on your machine. You can choose now, if you want to visit the games website, when quitting the demo. Fixed a bug, that prevented the game running on 64 bit machines. Fixed a bug with e-mail-addresses that contained a “+”. As already announced eight additional levels for Grappling Hook will be released with the next update. That means the full version will contain 30 levels. The first version of all new levels is finished. I’ve create nine, but will drop one of them, because it doesn’t meet my quality standards. Some of the new levels are entirely non-linear, so you will be free to decide, what to do next. The new levels also feature puzzles, where you have to use the Grappling Hook in entirely new ways. They are also harder than the other levels. Polishing, testing, and improving the levels will take a few more days. Stay tuned! The developers have done a great job of throwing out new challenges, with something new coming at you at all times. 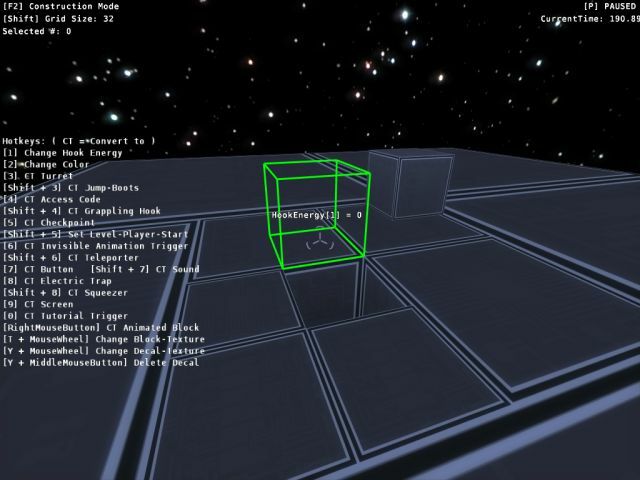 [..] the game does a wonderful job with the first-person point of view and creates a surprisingly immersive environment. Pair that with smart puzzles and plenty of fast action and you’ll stay grappling for a very long time! Please vote with some mushrooms for Grappling Hook, when you are already on the site. You can buy Grappling Hook now in the GamersGate store. Some of you may prefer this. GamersGate is a great company. The staff is helpful, responds quickly, and I really like them. They are one the most indie friendly online distributors. I’m also in touch with some other distributors and hope to release Grappling Hook on their platforms within the next weeks. Where have you bought games online? What is your favorite online game store? Some Windows users reported crashes or problems that were related to the sound-system. This is fixed now. Please uninstall the demo or full-version and install the new version, when you have experienced startup-crashes or were only able to play the game without sound. Uninstalling the game will no affect your savegames. The new version does not include any other changes, than this fix. You can get the new Windows demo here and the new full version for Windows here. Thanks for your help Marc, Simon, and Tony. Grappling Hook Now Available on Mac! Grappling Hook is available on Mac! Both demo and full-version are available on Mac. Every owner of a Grappling Hook copy can play the game on every supported platform. When you own Grappling Hook for Windows and want to play it on your Mac, you can download the Mac version here. Thank you Aaron, Heiko, Norman, Skye, Stephan, Tobias, and Tony for your help and advice! I’m working on a free level-pack for the full game. It will be released within the next two weeks and will include eight new, unique, and challenging levels. 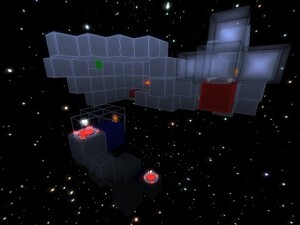 The new levels also feature puzzles, where you have to use the Grappling Hook in entirely new ways. Thank you Anthony and Jonathan! Grappling Hook Version 1.05 is available, both demo and full-version. Hook Device and bolts will be correctly restored after loading. Edges will not stop the character anymore, when he is sliding up walls. Tuned Virtual-Machine and Garbage Collector. Improved the GUI of the Launcher. Improved the performance in the menu a bit. UPDATE: There was a crashbug in hard-mode, which was introduced with version 1.05. A fixed version is already online. Check out his Youtube-channel for more. I think it is amazing! I didn’t even know, that the levels could be solved that fast. What are your best times? Share your speedrun-videos and times in this thread! If [..] you love a challenge this is going to be fantastic for you! Thanks to the 38 participants! I enjoyed reading the answer-emails. Yeah!! The legendary Grappling Hook! Are you a Spider Monkey? Sadly, the random-number-generator couldn’t be influenced by this.